John Herbert Chapman (August 28, 1921 – September 28, 1979) from London, Ontario, son of Lt. Col. Lloyd Chapman and Kathleen Chapman, was a Canadian space researcher. Chapman started his career with his work on radio propagation and the ionosphere. He later received a Master of Science degree and a Ph.D. in physics at McGill University in Montreal, Quebec. After his studies at university Chapman got his first position in the government with the Defence Research Board (DRB). He was then promoted to the position of section leader of the ionospheric propagation unit at the Defense Research Telecommunications Establishment (DRTE) in 1951 at Shirley's Bay, a Canadian military and civilian telecommunication research campus.He was also a superintendent. 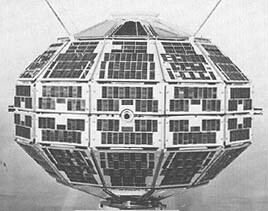 Alouette 1 is a deactivated Canadian satellite that studied the ionosphere. Launched in 1962, it was Canada's first satellite, and the first satellite constructed by a country other than the Soviet Union or the United States. 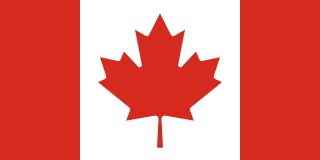 Canada was the fourth country to operate a satellite, as the British Ariel 1, constructed in the United States by NASA, preceded Alouette 1 by five months. The name "Alouette" came from the French for "skylark" and the French-Canadian folk song of the same name. Professional Engineers Ontario (PEO), up to 1993 known as the Association of Professional Engineers of Ontario (APEO), is the self-regulatory body that governs Ontario's 85,000 professional engineers, and sets standards for and regulates engineering practice in the province. It has a statutory mandate under the Professional Engineers Act of Ontario to protect the public interest where engineering is concerned. It was created in 1922 and is mandated to educating its members to latest developments and maintaining a Code of Ethics that puts the public interest first. Licensed professional engineers can be identified by the P.Eng. after their names. The International Union of Radio Science is one of 26 international scientific unions affiliated to the International Council for Science (ICSU). The American Geophysical Union (AGU) is a 501(c)(3) nonprofit organization of geophysicists, consisting of over 62,000 members from 144 countries. AGU's activities are focused on the organization and dissemination of scientific information in the interdisciplinary and international field of geophysics. The geophysical sciences involve four fundamental areas: atmospheric and ocean sciences; solid-Earth sciences; hydrologic sciences; and space sciences. The organization's headquarters is located on Florida Avenue in Washington, D.C. The Swedish Institute of Space Physics is a Swedish government agency. The institute's primary task is to carry out basic research, education and associated observatory activities in space physics, space technology and atmospheric physics. The John H. Chapman Space Centre is the headquarters of the Canadian Space Agency. 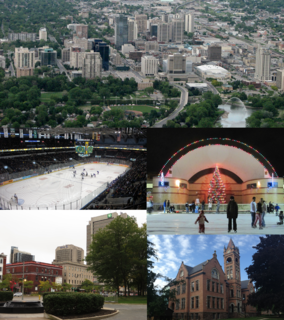 It is located in Longueuil, Quebec, Canada, in the borough of Saint-Hubert. Alouette 2 was a Canadian research satellite launched at 04:48 UTC on November 29, 1965 by a Thor Agena rocket with Explorer 31 from the Western test range at Vandenberg AFB in California. It was designed to explore the ionosphere. ISIS 1 and 2 were the third and fourth in a series of Canadian satellites launched to study the ionosphere. After the success of Canada's Alouette 1, Canada and the United States jointly sent up three more satellites in the ISIS program. The first was named Alouette 2. As was the case for the Alouette satellites, RCA Victor of Montreal was the prime contractor for both ISIS 1 and 2. The DRTE Computer was a transistorized computer built at the Defence Research Telecommunications Establishment (DRTE), part of the Canadian Defence Research Board. It was one of the earlier fully transistorized machines, running in prototype form in 1957, and fully developed form in 1960. Although the performance was quite good, equal to that of contemporary machines like the PDP-1, no commercial vendors ever took up the design, and the only potential sale to the Canadian Navy's Pacific Naval Laboratories, fell through. The machine is currently part of the Canadian national science and technology collection housed at the Canada Science and Technology Museum. Colin Athol Franklin, CM, FRSC is an engineer and a leading pioneer in Canada's space programme. He played a leading role in the design, construction and application of Canada's first satellite, the Alouette. 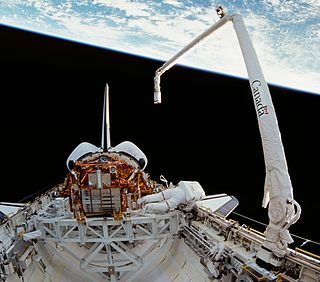 His extensive work and contribution to Canadian research and industrial development activities in space-related research and manufacturing, have been a significant influence in establishing Canada as a world leader in these fields. Canadian Geospace Monitoring (CGSM) is a Canadian space science program that was initiated in 2005. CGSM is funded primarily by the Canadian Space Agency, and consists of networks of imagers, meridian scanning photometers, riometers, magnetometers, digital ionosondes, and High Frequency SuperDARN radars. The overarching objective of CGSM is to provide synoptic observations of the spatio-temporal evolution of the ionospheric thermodynamics and electrodynamics at auroral and polar latitudes over a large region of Canada. The Prince Albert Radar Laboratory (PARL) was a radar research facility operated by the Defence Research Telecommunications Establishment (DRTE), part of the Canadian Defence Research Board. Its primary purpose was to test long-range radio propagation and radar techniques in the presence of the aurora borealis. This was part of a greater ABM effort being carried out in concert with the United States Air Force, and PARL operated along with two similar instruments at the Rome Air Development Centre and MIT Lincoln Laboratory. The site continues to operate today, used as a satellite downlink station known as the Prince Albert Satellite Station (PASS). Dr. Abdul Majid (Urdu):(عبد الماجد) is a Pakistani astrophysicist and scientist in the field of space technology. He is a former chairman of Space and Upper Atmosphere Research Commission from 1997 to 2001. He had made significant contributions to Pakistan's space program. During his tenure as SUPARCO Administrator, Pakistan launched its two Low Earth orbit (LEO) satellites, which were masterminded and developed by him. He also initiated a Satellite Launch Vehicle (SLV) project at SUPARCO. He retired from SUPARCO in 2001 as a chief scientist. Since his retirement, he has been inactive from Pakistan's space program and currently resides in Karachi where he lives a very quiet life there. The Lviv Centre of the Space Research Institute of the NASU and NSAU is a Lviv branch of the actual institute. Jules Aarons was an American space physicist known for his study of radio-wave propagation, and a photographer known for his street photography in Boston. Robert Eugene Bourdeau was an American physicist known for major contributions to the study of the ionosphere, plasma physics and radio science using space vehicles including satellites and rockets. Among his many achievements was the launch on November 3, 1960 of Explorer 8 from Cape Canaveral, Florida. This occurred during his 16-year career at the National Aeronautics and Space Administration (NASA). He was both Project Manager and Project Scientist for Explorer 8 which added significant knowledge to the understanding of these fields.